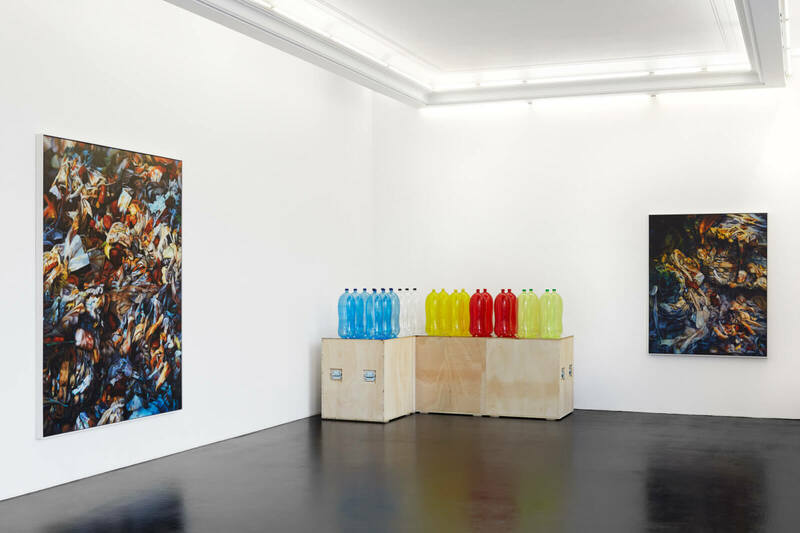 Peres Projects is pleased to present Bounty by American artist Mike Bouchet on the occasion of Gallery Weekend Berlin 2016. 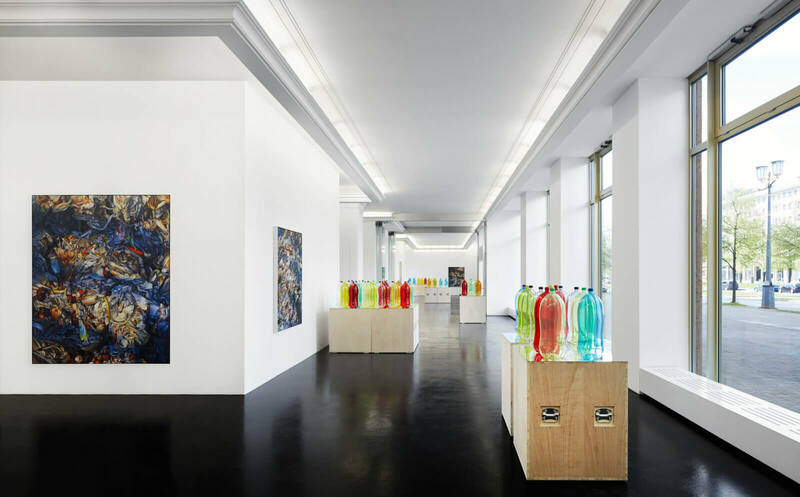 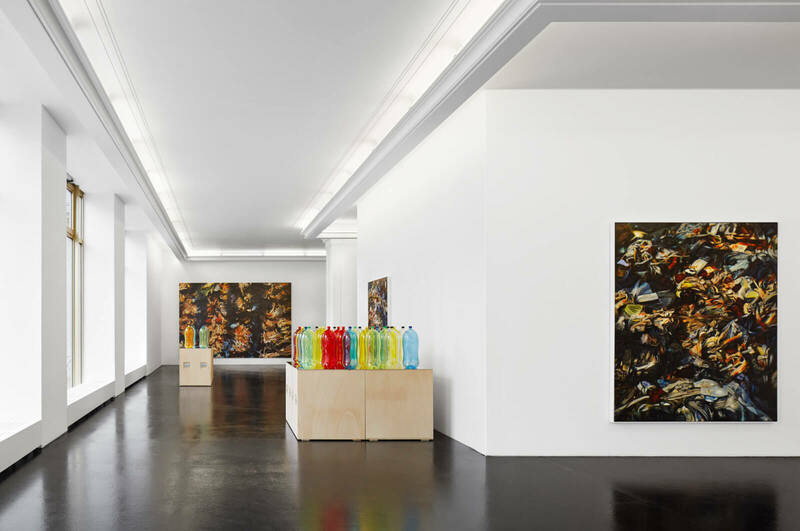 Bouchet presents a new series of oil paintings alongside an installation of large-scale glass sculptures. 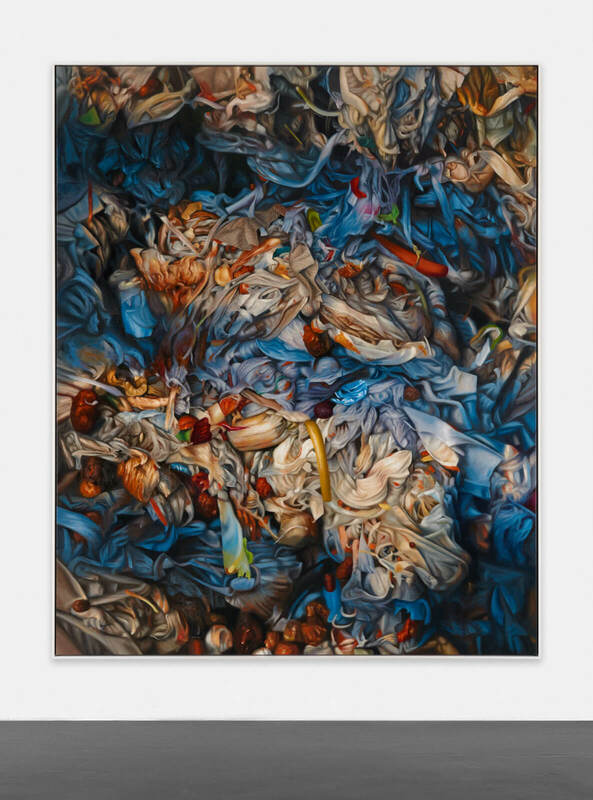 With Bounty (a word which connotes a generous surplus of amounts), Bouchet investigates our society’s collective materialism and consumer habits within the aesthetic confines and supposed safe boundaries of painting. 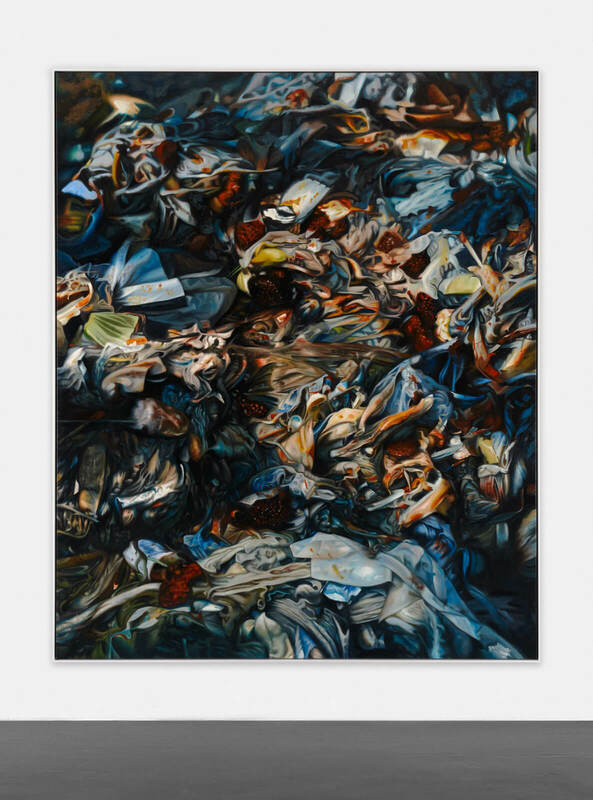 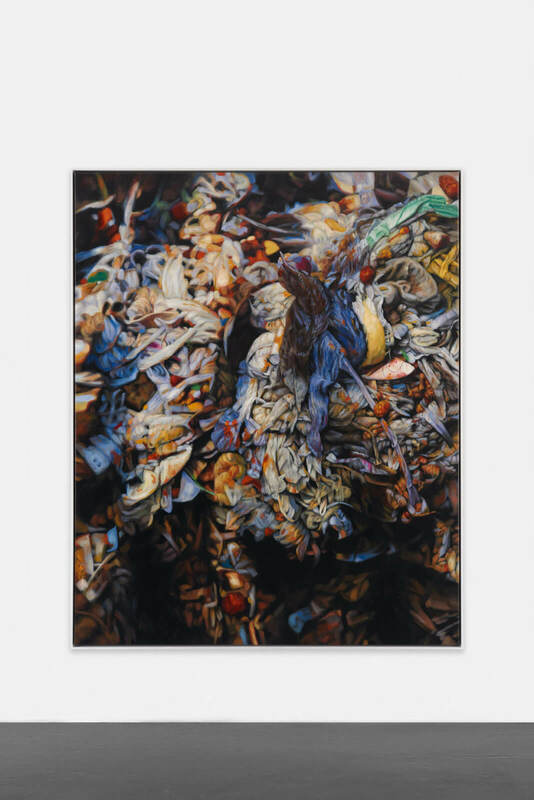 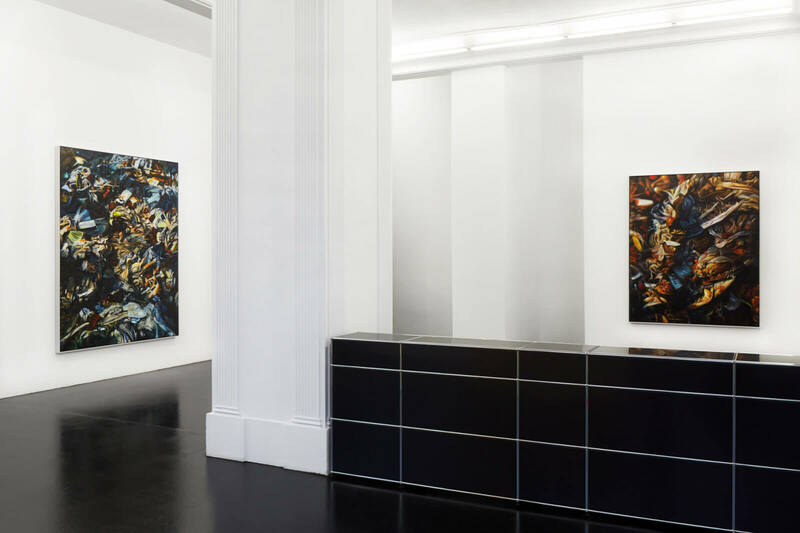 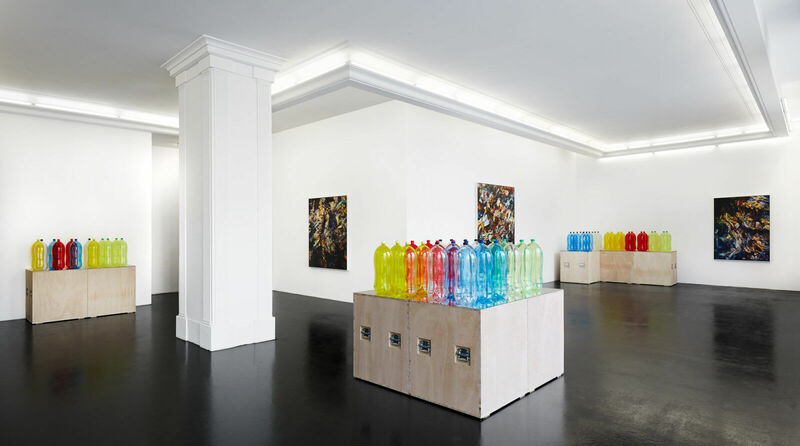 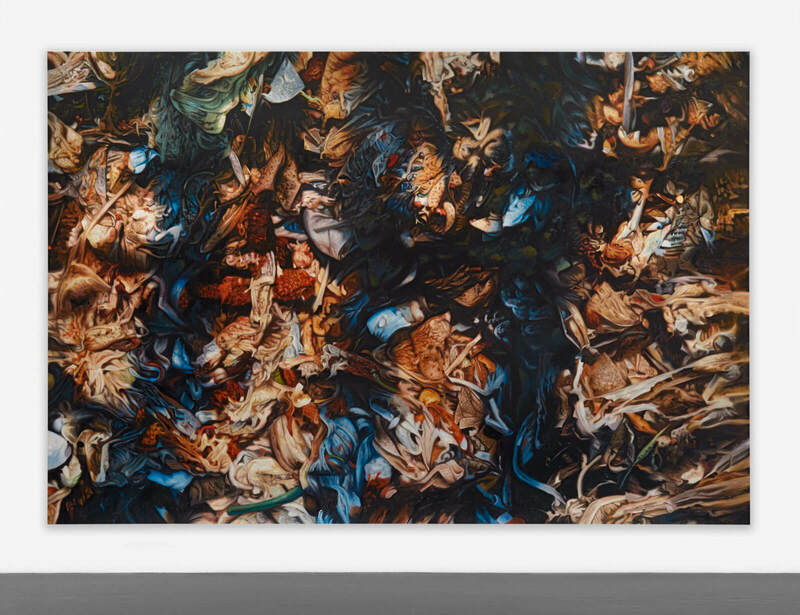 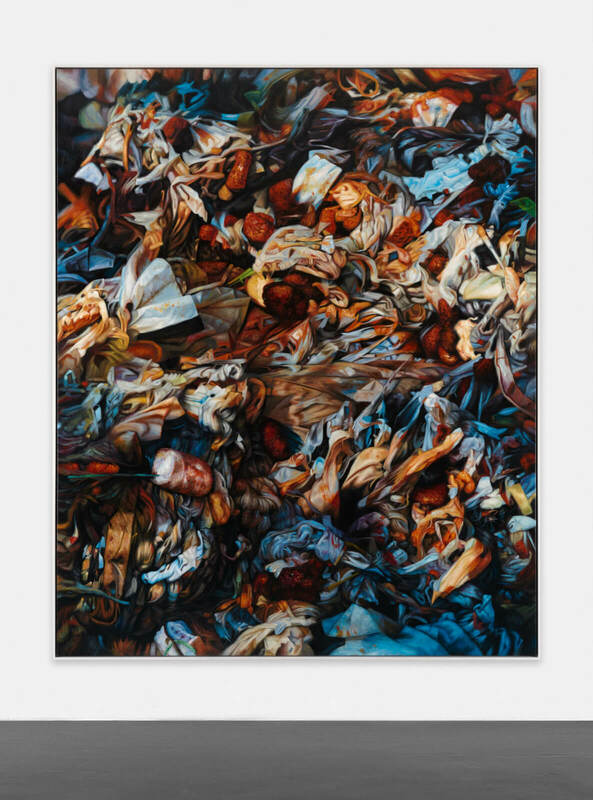 This new body of works on canvas is based on original photographs of collapsing human trash and waste taken by the artist at the municipal water treatment plant Werdhoelzli in Zurich. 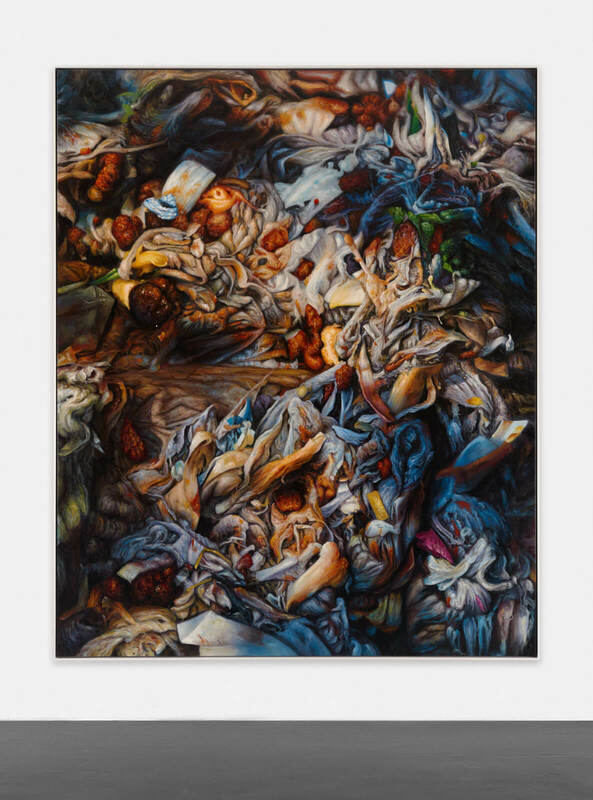 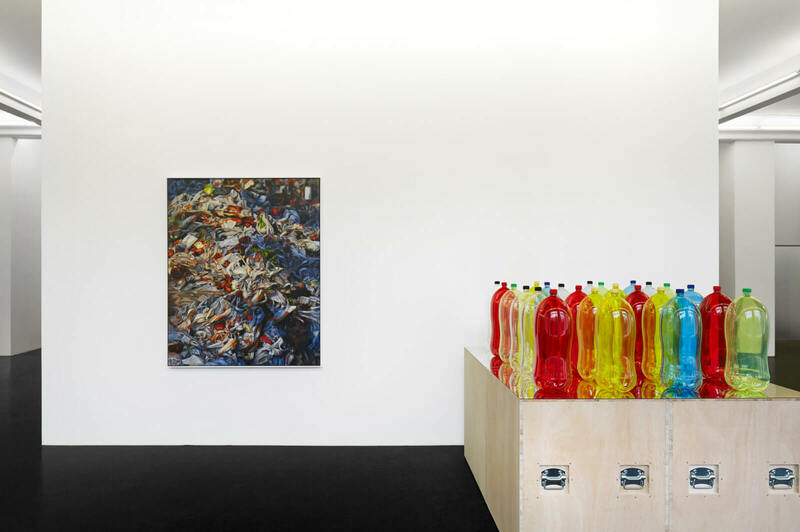 As vibrantly painted visual tableaux, Bouchet captures solid waste in the fragile instant before it is processed to become homogenous sludge. 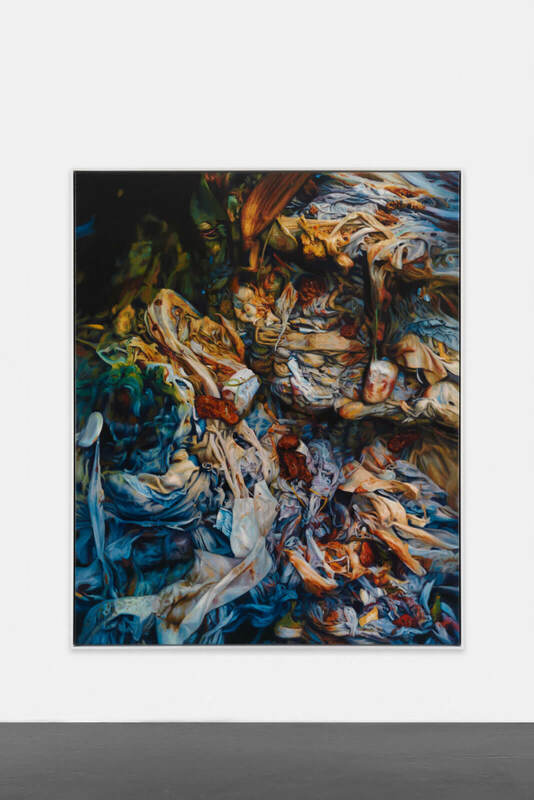 These dynamic, chiaroscuro compositions of decomposing and nearly formless matter are seductively beautiful; despite being images of our own waste and symbols of overconsumption, they leave the viewer feeling no sense of repulsion. 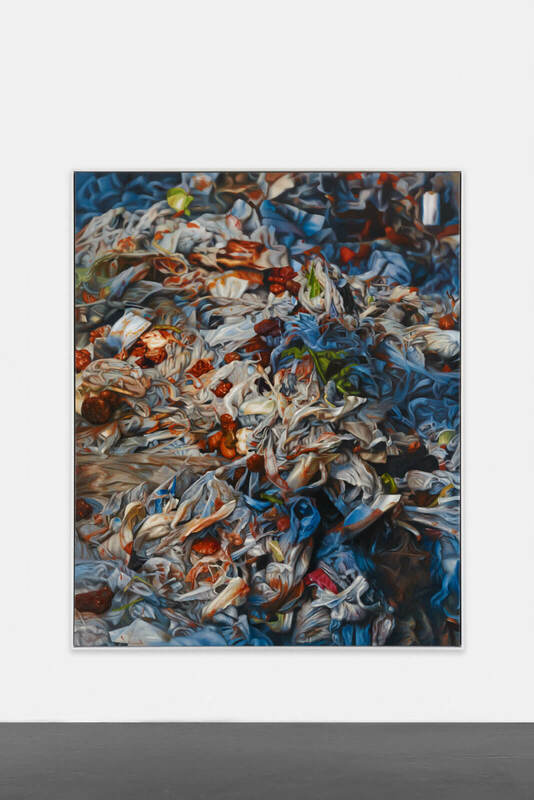 There is a familiarity to the tumbling masses that fill the canvases, as the shapes and textures recall everyday products, but only as mere impressions. 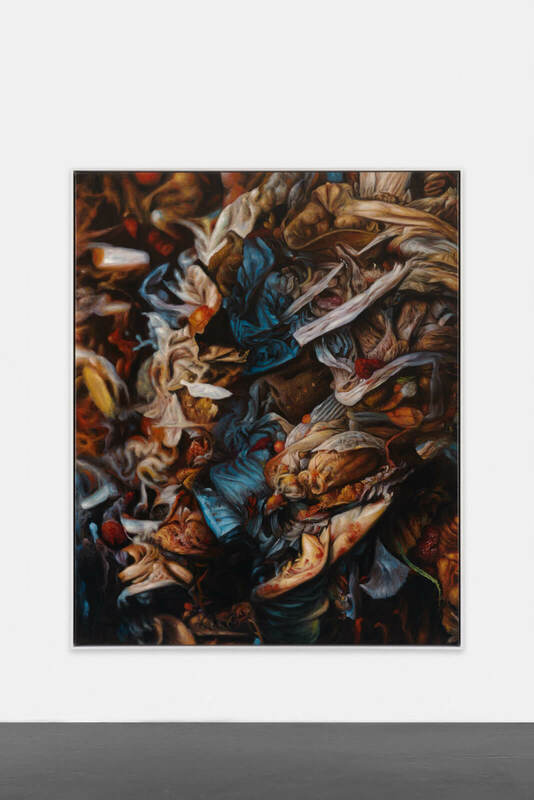 The turbulence, chaos and colors recall fantastic scenes from 17th and 18th century Baroque painting, while the organic forms convey the luminosity and textures of a Dutch Golden Age still life. 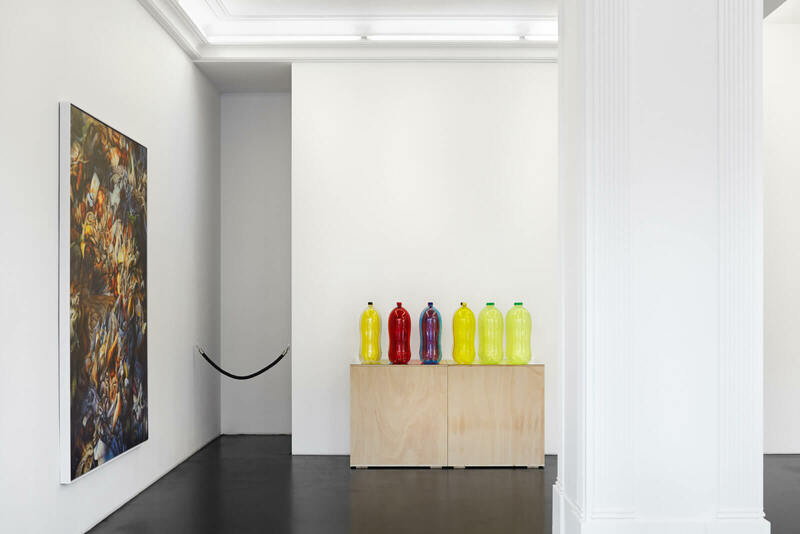 Also on view are Bouchet’s new sculptures, Keglon, oversized 14 liter glass cola bottles standing atop artwork shipping crates. 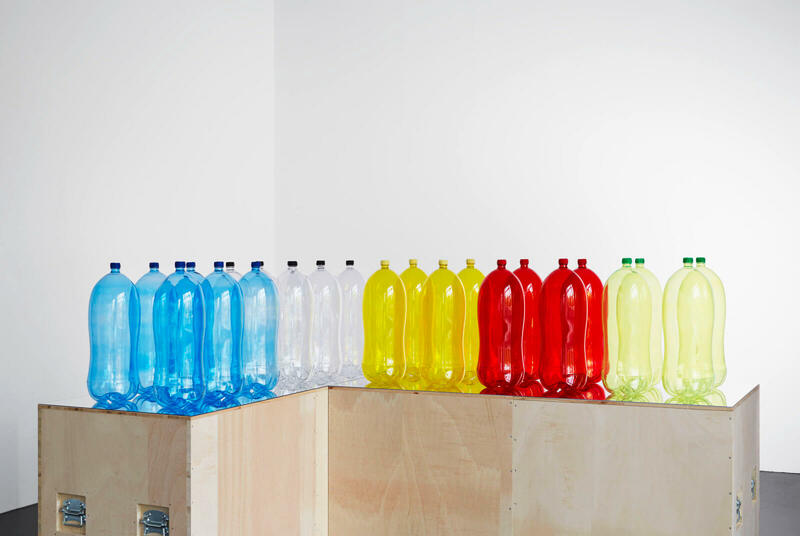 These isolated figures of consumerism are full of contradictions. 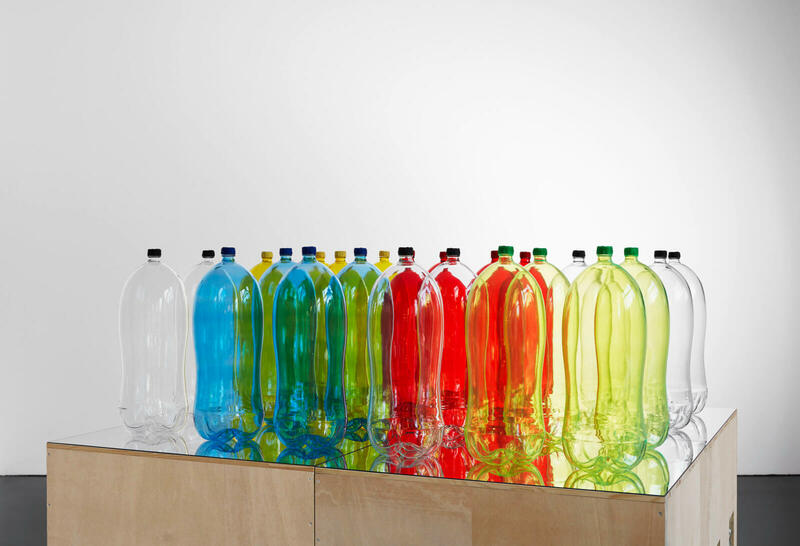 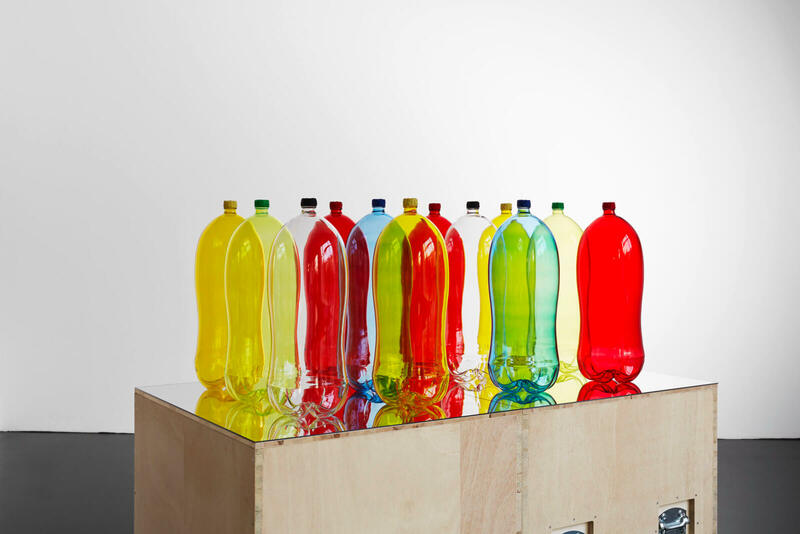 Bouchet creates a surreal homage to the ubiquitous plastic American 2 liter cola bottle, appropriating them as art. 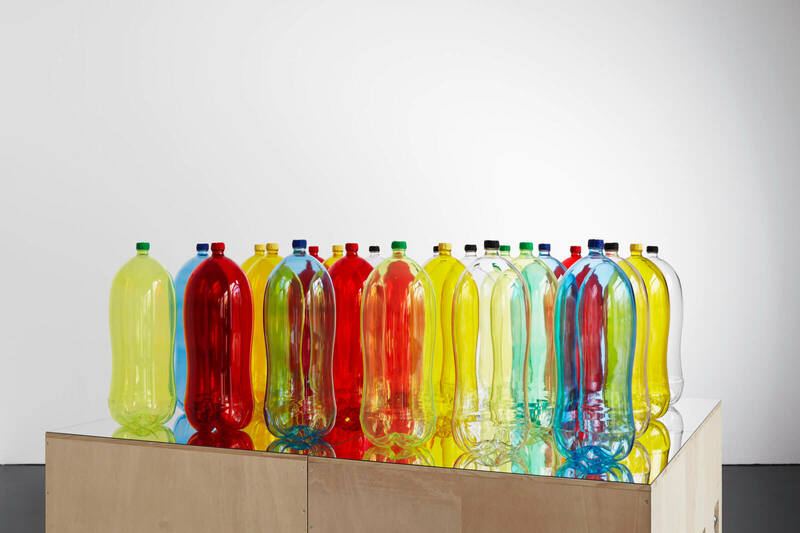 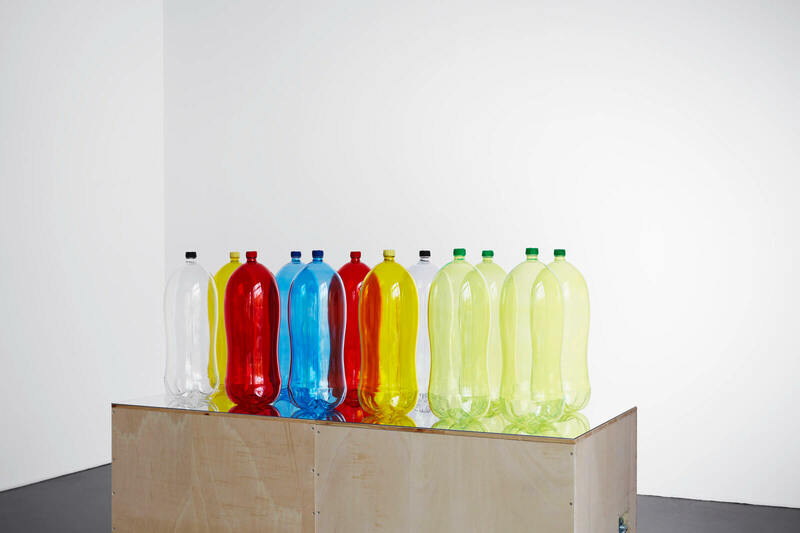 These delicate yet bloated sculptures become both a proposal for new, bigger and better “king sized” beverage but, due to their apparent emptiness, are perhaps about to be thrown away. 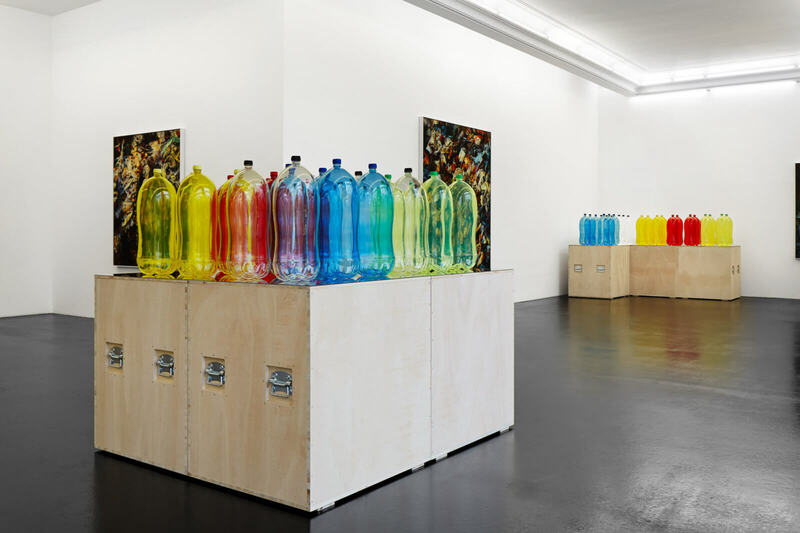 The exhibition Bounty is related to the artist’s upcoming presentation, The Zurich Load, at the Migros Museum of Contemporary Art, Zurich for Manifesta 11, curated by Christian Jankowski. 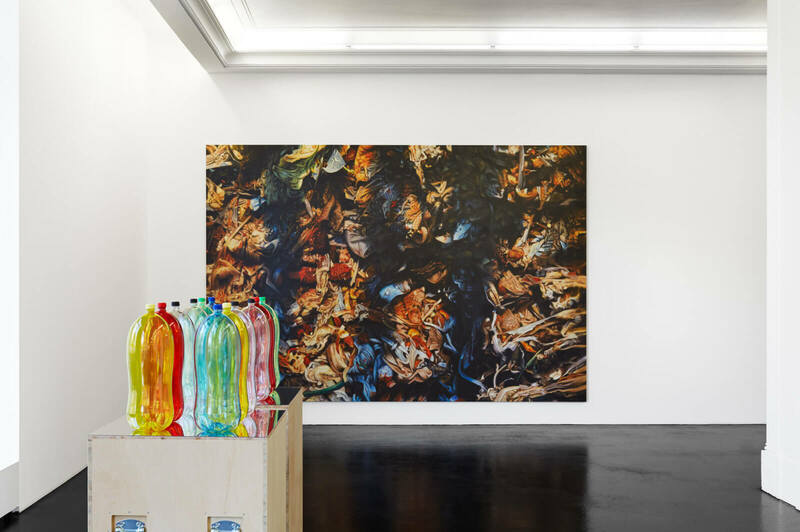 Bouchet will present an eighty-ton sculptural installation made of human sludge collected from the city of Zurich’s municipal water treatment plant Werdhoelzli. Peres Projects’ opening hours are Monday through Friday, 11am–6pm. 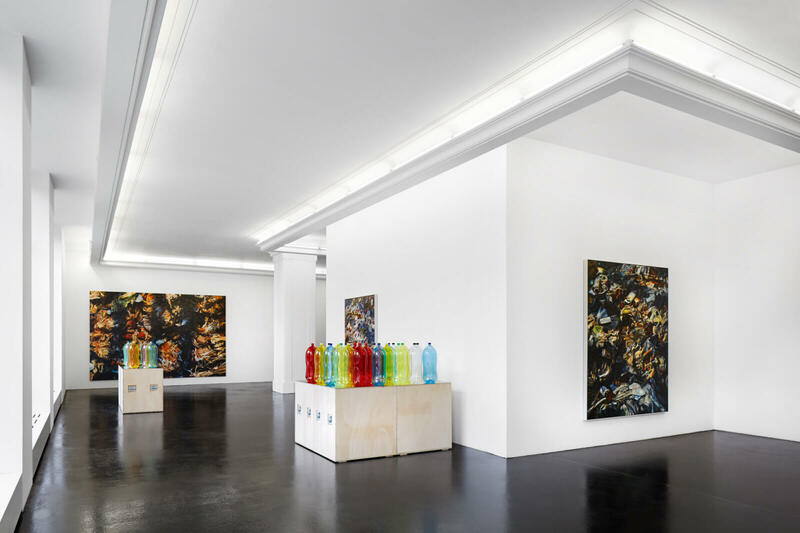 For further information and sales inquiries, please contact Javier Peres (javier@peresprojects.com), Nick Koenigsknecht (nick@peresprojects.com) or by telephone at +49 30 275 950770. 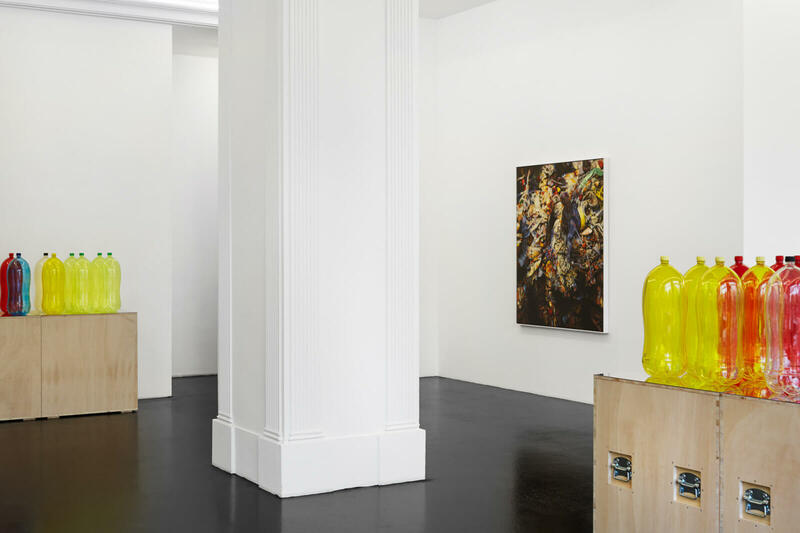 For press and media inquiries, please contact media@peresprojects.com.